4 bedroom, 3 bath home on beautiful Sylvan lake. Quality Nor-Son built home. 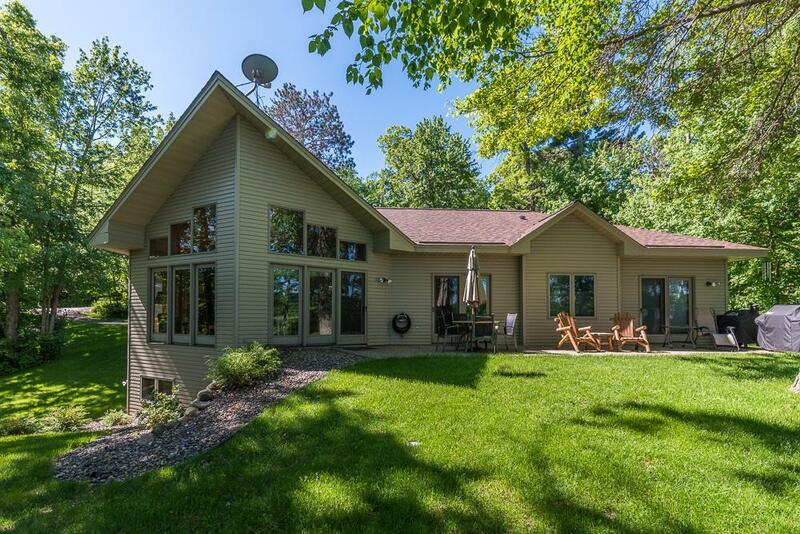 Master suite w/ whirlpool tub & double sinks.174' of frontage, newly landscaped steps to the lake, 75' floating dock and gradual elevation, this is a beautiful, private setting with a boundary waters feel. About 100' of property surrounded by a nice wetland for additional privacy. Enjoy perennial gardens and new fire pit area. This home features an open floor plan, hardwood floors & two gas fire places. Over sized three stall heated(Pellet Stove) and insulated garage with workshop space. One stall has drive through doors. Home Warranty included. Must see to truly appreciate.